When is a pool store not your average pool store? 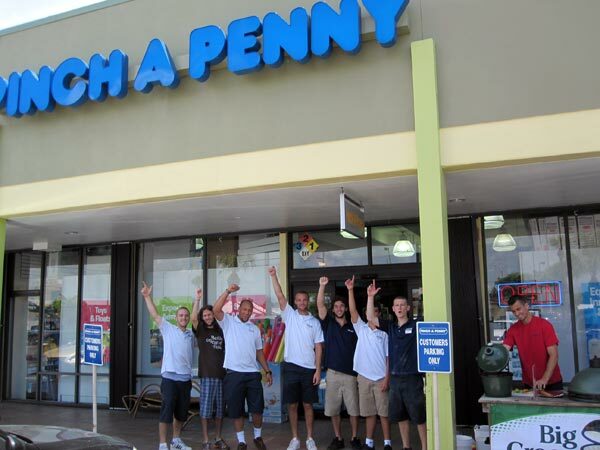 When it’s the Palmetto Bay Pinch-A-Penny (US-1 and SW 144th Street) run by the Kavanaugh family. 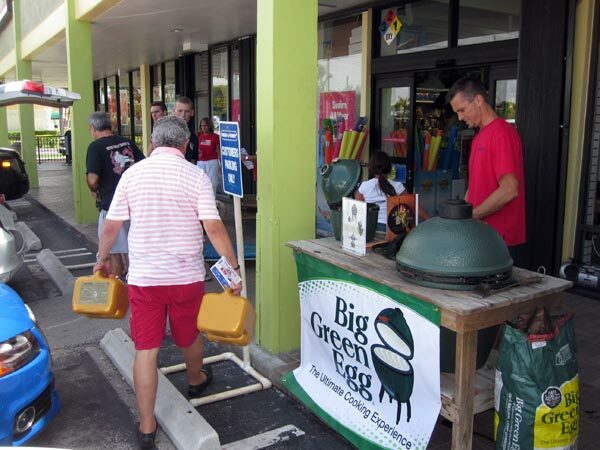 Each July 4th they invite customers and their staff to enjoy a lunchtime barbeque right in front of the store. While the charcoal heats, Kevin prepares. “We marinated our pork tenderloins last night, I prepared the chorizo this morning, I have a churrasco for emergency, but the smoked fish will be the hit.” Kavanaugh seems both comfortable and serious at the grill. 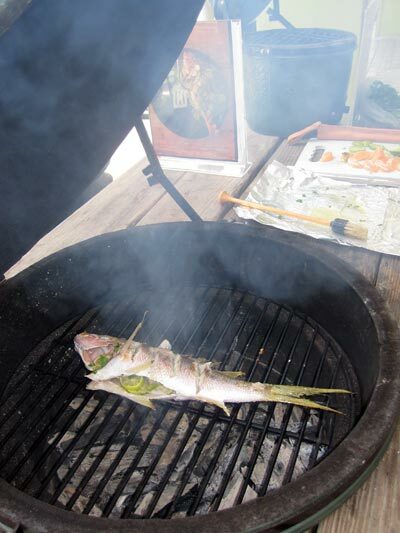 “The grill is perfectly at 400 degrees and it’s time to turn the fish. I prepare it Mexican style with tangerine, key limes and cilantro stuffed inside and a light olive oil outside to keep it from sticking.” It is clear Kevin could have a second career on the Food Network. Besides some gourmet BBQ treats, the Kavanaughs’ pool store provides top-notch customer service. As one of their 3000+ repeat customers, I can tell you they’ll take care of you, teach you anything you want to know and help you enjoy your pool.